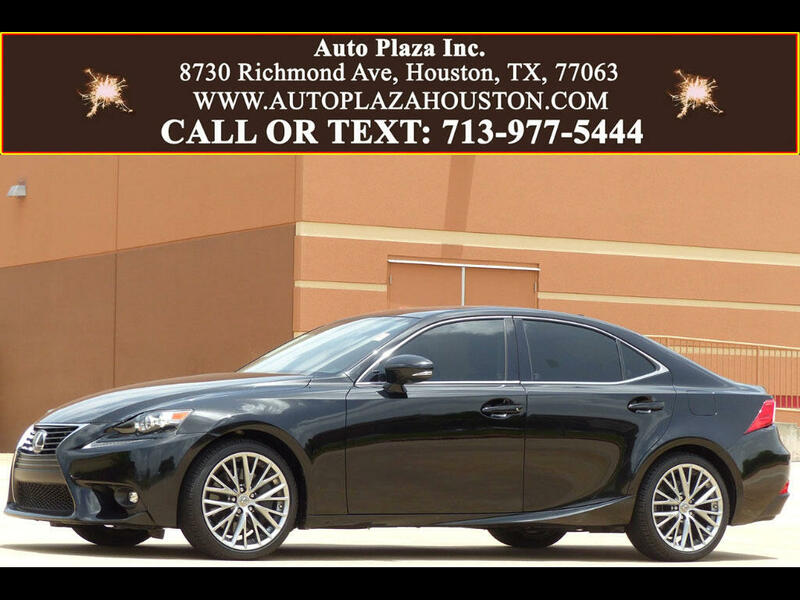 Used 2015 Lexus IS 350 RWD for Sale in HOUSTON TX 77063 Auto Plaza, Inc.
*-* NAVIGATION - PREMIUM PACKAGE AND BLIND SPOT MONITORING *-* With Remaining Factory Warranty Good Thru 12.13.2019 or 50k Miles!!! Auto Plaza Presents To You This Loaded One Owner 2015 Lexus IS350 Sports Sedan with a Slick 8 Speed Automatic Transmission! Did you know that Lexus are the most reliable Luxury Brand in America?! Options include, Navigation, Premium Package, Blind Spot Monitoring With Cross Traffic Alert, Backup Camera, Rear Parking Sensors, Intuitive Park Assist, Steering Mounted Paddle Shifters, LED Headlights, LED Daytime Running Lights, 18inch Alloy Wheels, Homelink, Smart Access with Push Button Start/Stop, BLUETOOTH for Phone and Audio, USB Port, XM Radio, CD/ MP3 Player, Lexus Premium Audio With Pandora, Power Heated/ Cooled Leather Sports Seats, Leather Trimmed Steering Wheel, Power Tilt/Telescope Steering Wheel with Audio, Controls / Cruise Control, Dual Chrome Exhaust Tips, Anti Lock Braking System ABS with Electronic, Smart Stop Technology, Power Windows, Power Locks, and More! Give a Little Push on the Gas Pedal and Be Ready to Zoom Off With This Sleek Convertible!!! This Lexus IS350 is sure to Appeal to Drivers Everywhere! So, CALL NOW to schedule a TEST DRIVE!